Upstate Renegade Productions. 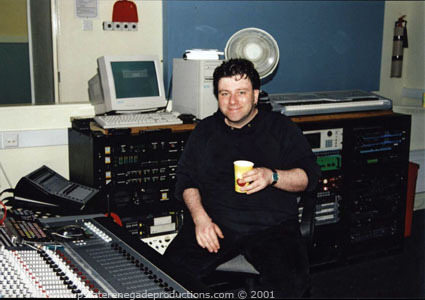 Louis P. Burns aka Lugh in the recording studio during the production of; Wishing Well - Derry Musician's & Artist's CD for Foyle Hospice 2001. For all enquiries please go to our Contact page. Image subject to copyright laws. © www.upstaterenegadeproductions.com - All Rights Reserved.